Consideration was provided by TRESemme. 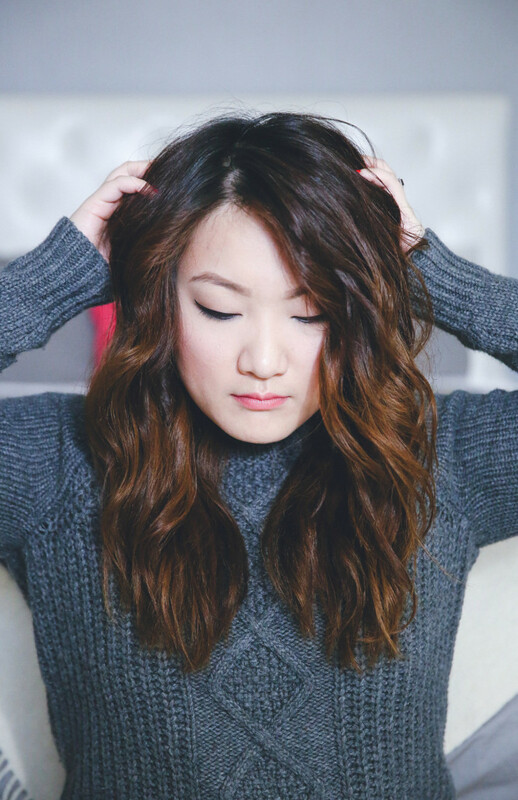 A great way to give your hair a little oomph is to create waves. 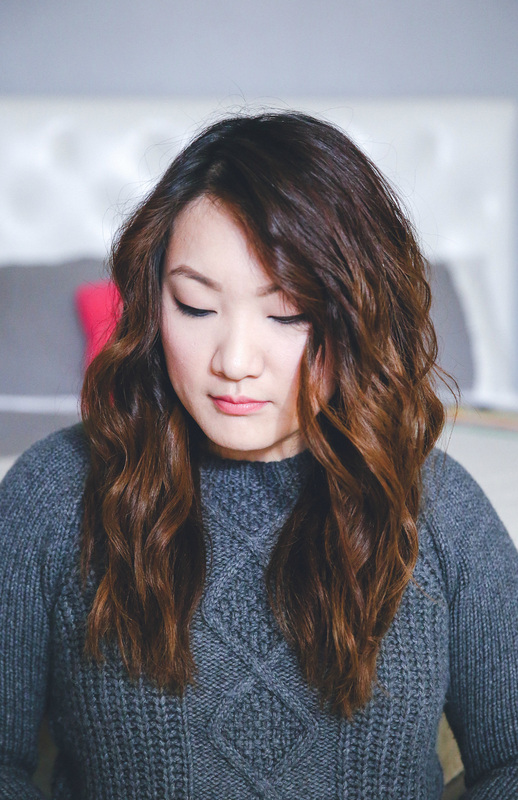 I love wearing waves because it looks effortless yet styled. Naturally, I have a slight wave to my strands, so instead of straightening it, I like make my waves more pronounced. I usually switch between a romantic wave and my natural waves. Since spring is coming soon, I’m going to show you how I create that feminine romantic look. It’s perfect for days to come when I can wear playful colors and outfits again. 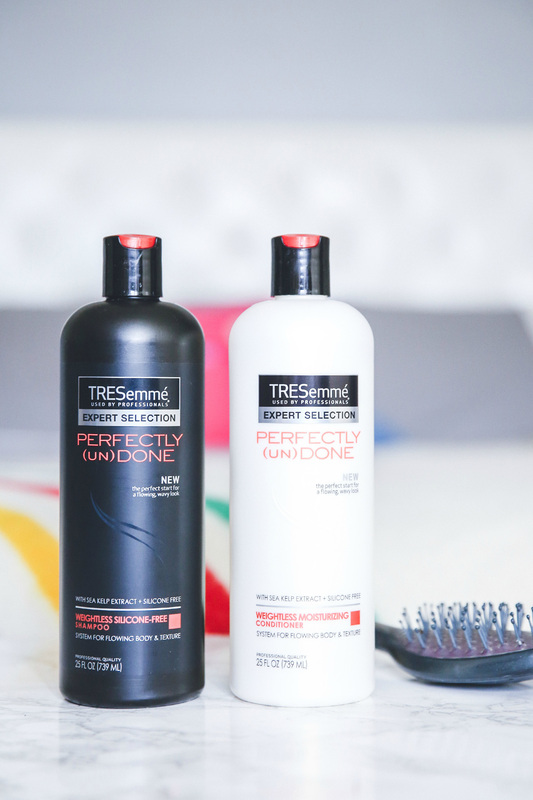 For this post, I got to try TRESemme Perfectly (un)Done collection with sea kelp extract. 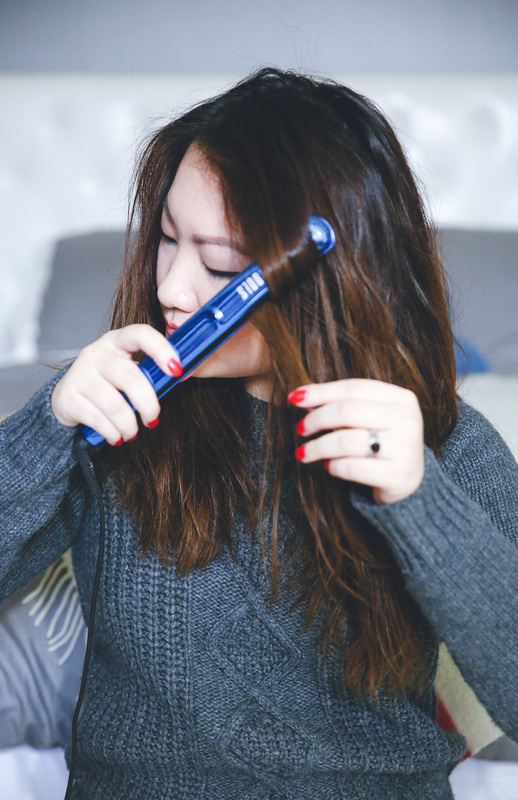 Continue reading to see how I style my hair. I start by shampooing my hair with the Perfectly (un)Done Shampoo to remove excess oil and residue from previous products. Then I proceed to the Perfectly (un)Done Conditioner. This is when I untangle all the knots in my hair. It leaves my hair nice and moisturized for the upcoming steps. I towel dry my hair then take the Perfectly (un)Done Sea Foam and distribute it all over my strands. Then, I flip my hair over and blow dry. This helps with volume! Optional. 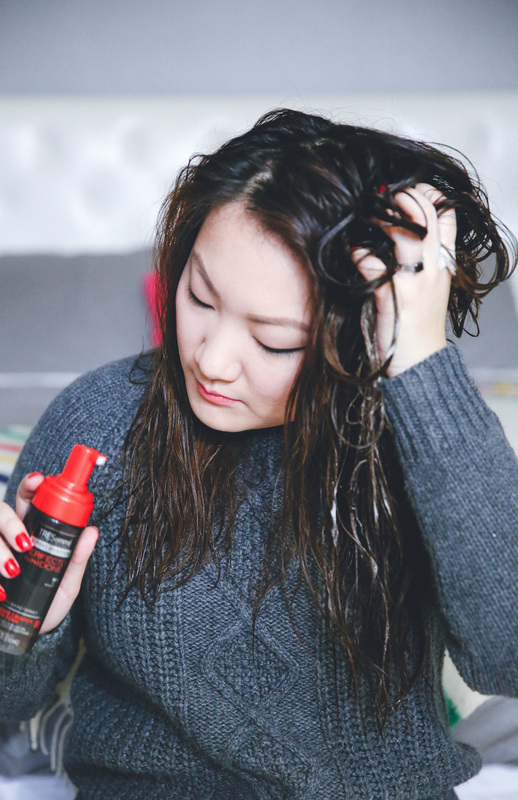 For more defined texture, I spritz some of the Perfectly (un)Done Sea Salt Spray onto the just dried hair. Now, heat up the flatiron and let’s create waves. I take about an inch wide section, clamp and give it a twist around twice. Make sure the ends are lined up with the top strands and gently pull down and out. I tend to leave my ends alone for length and that undone look. Repeat until your whole head is texturized. 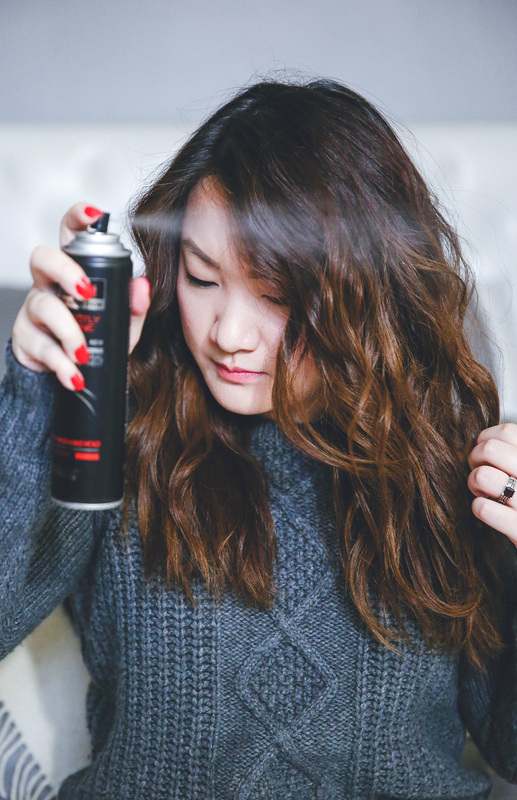 With the Perfectly (un)Done Hair Spray, I seal the waves in place. With my fingers, I style and adjust to my liking. And we’re done! A romantic head of waves for any occasion. A better look at the styling products used: TRESemme Perfectly (un)Done Sea Foam, Sea Salt Spray and Hair Spray. 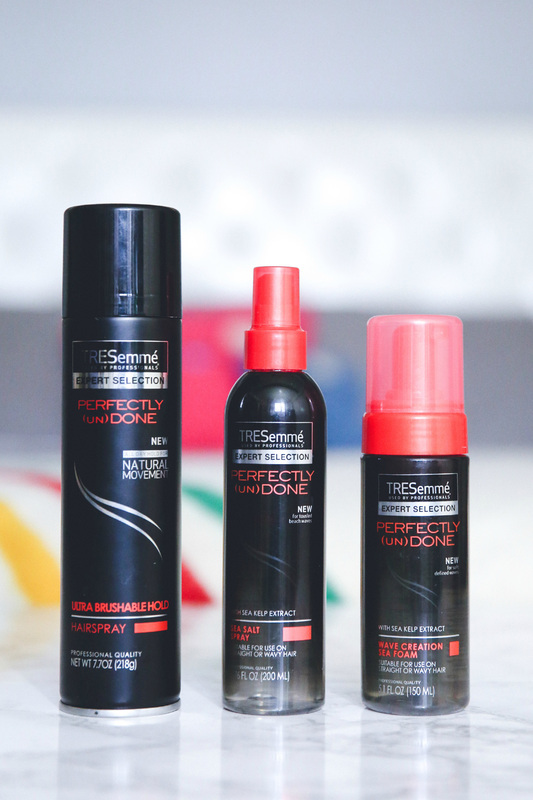 For more hair inspiration and tutorials, visit www.youtube.com/TRESemme. Disclosure: Compensation was provided by TRESemme via Mode Media. The opinions expressed herein are those of the author and are not indicative of the opinions or positions of TRESemme. This looks adorable! Great job!